No other show in TV history has proven to be a force like AMERICAN IDOL®. 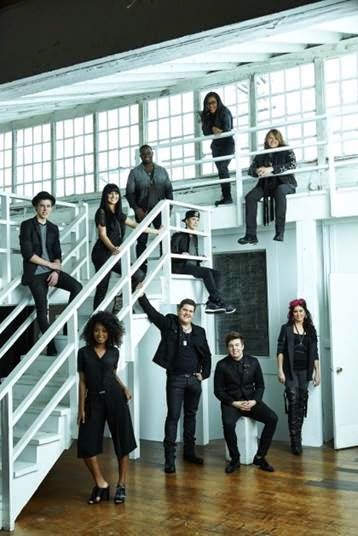 Fans of the hit series can see this season's talented Top Ten Finalists live when the AMERICAN IDOL® LIVE! tour returns this summer. 19 Entertainment announced today the 41-show concert tour launches Tuesday, June 24, in Binghamton, NY, and stops in major cities, including New York and Los Angeles, before wrapping in Redmond, WA, on Saturday, August 23. Tickets go on sale beginning Friday, May 9, via www.AmericanIdol.com/tour. The AMERICAN IDOL XIII Season Finale will air Tuesday, May 20, (8:00-9:00 PM live ET/tape-delayed PT) and Wednesday, May 21, (8:00-10:00 PM live ET/tape-delayed PT) on FOX, before this season's Top Ten finalists continue on to the 2014 Live! tour this summer. Past tours have featured stars such as Kelly Clarkson, Carrie Underwood, Jennifer Hudson, Fantasia, Adam Lambert, Scotty McCreery, Phillip Phillips, Candice Glover and many more.